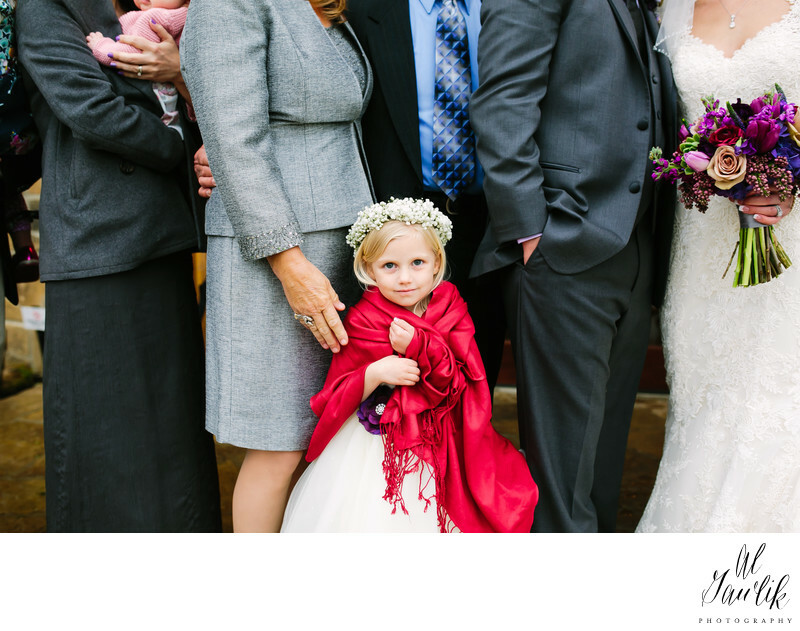 There are a lot of stories in this picture but the one we are going to remember the most is the flower girl, with flowers in her hair, and wrapped in a scarlet red shawl to ward off the chill. The bride in also in the picture but the focus is on the flower girl with the captivating eyes and smile. Amy, our photographer, does it again, and the story lives on and on.